I have been writing articles and doing survival courses for years, and while it is much easier to show the importance of basics in real courses, it is a bit harder to do that in my articles. That’s because we as humans tend to look for flashy things. We love quick and interesting facts that will occupy our attention. 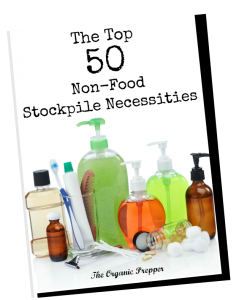 But you must also prepare for the basics so that you can perform those things during the confusion, panic, and mayhem of SHTF. You must observe your surroundings before anything terrible happens. Basics are simply that: basic – and because that we often overlook it, or forget it. For example, an article with news about the latest development in tensions between the US and Iran with all the flaming rhetoric will catch more attention than an article about how to grow tomatoes. We look for flashy stuff, but the majority of us need to go back to the basics (or at least to refresh them). Every now and then, I like to remind people about that. Lists about what to do and what not to do in the form of “10 things to do” or “10 things not to do” or “10 things to have” are not my favorite, because some people tend to think those “10 things” are definitive lists that solve all problems. But, as we write, it is easy to put it in that way as a concept. You as a reader must understand it is a list that continues, and as long as you understand that you need to constantly refresh your basics. Big world events usually will happen no matter what you do or think about it. You need to operate in your “small circle” where you actually can change things for real. You cannot know for sure how your surroundings will change around you when the SHTF, but you can have a pretty educated guess. You just need to be observant. Observe the people around you, it can be worth a lot to you one day when the SHTF because you might already have information that tells you who your neighbors really are and what they have. Think a bit outside of the box (like you should always do). Consider how observing things about the people that are close to you could have big significance for you once the SHTF. Who of your neighbors will be dangerous when SHTF? How many of them have weapons in their homes? How many have resources or skills that may be useful (or maybe dangerous) to you? Do they have addiction problems or “interesting” habits? Thinking out the box does not mean that you are going to sneak in other folks homes or ask them openly about these things. It means that by observing their activities you’ll try to figure out their settings. In real life, it does not have to be anything sophisticated. For example, if your neighbor has a “Molon Labe“ sticker on his bumper it can be used in your planning for the when SHTF. Think in terms how all of that might be used in your favor or against you once the SHTF. Resources are everywhere around us today, They are just not ours because we have easier and more practical (or more legal) ways to get resources today. Perhaps you are not noticing those other resources. Try to think here, too, out of the box and spot those “other” resources today that are gonna be important when SHTF. Gas tanks in gas stations, water pools or rivers, fruit trees, firewood, plants…and, yes, even shops that are close to you with all the stuff inside. You may think that something is illegal today, but in terms of very serious SHTF legal and illegal gets very blurred. When SHTF, those who take longer to adapt to the new rules usually have weakest results. In a real-life example from my own experience, by the time I realized that the S had hit the fan so hard and seriously, it was too late. I finally realized it was perfectly fine to go to shops or malls and take food (just take it) in order not to be hungry in the middle of a civil war, but by then other people already took most of it. My period of adapting was a bit too long there. Now, of course, use common sense. Maybe you are not gonna be in that kind of SHTF. If there is still law some things are simply illegal, but the concept is the same. Look for the change of rules and adapt to it. “Interesting spots” are something that people who have not gone through a collapse sometimes have problems understanding. Basically, no matter how well prepared you are you need to stop and think about how new settings are gonna look around you once the SHTF, and how all that is going to change your plans. To be literal, no matter how many or how good bug-out vehicles you have, or backup means of transport, bikes, airplanes or whatever, if you have river in your surroundings, you’ll need to be ready to swim across that river, even if it is not on your first choice of route to your BOL for example. That river is an interesting (or problematic) spot, and since an SHTF scenario by its definition, is something unexpected, it is a situation where you will need to adapt and probably change plans. You will simply need to acknowledge those “interesting spots” and be prepared for whatever comes. Another example, if in your surroundings you have a prison, it may look today just like that – a prison, a building with a high fence and guards, nothing really particulary important there. But once the SHTF, I see there are a whole bunch of dangerous people who might be free and out on the street. Or, if you have an army base or police station near you, during an SHTF time, it is place of huge violent events, and so on and so on. It does not have to be anything big. It can be simply a bridge near you. Today, it is a bridge, tomorrow when SHTF it is a checkpoint maybe – a huge danger and obstacle for you. Think about the interesting spots around you. I have been in situations where I would be awoken in pitch darkness, and I would be forced to eliminate a threat or move away from it in split second. It is something that rarely can be done in a concious way. It needs time, practice, and the right dose of adrenaline. You need to practice. Your most important decisions of life and death can happen in split seconds, and only practice will condition you in the direction of perfection. It is nothing new. It has been used for ages in different kinds of training. You do not have necessarily practice being awoken in the middle of the night and shooting the right person. Start with “small” things. For example, practice how fast you can wake in the middle of the night by an alarm. Then, without eletricity in your home, gather all the important items and leave home. Then check what you forgot. How much time did you need for that? Then work in the direction of perfection. Later you can throw in some kind of “complication” – for example, you woke up, gathered important items, left the house, and tried to spot the intruder (your friend) inside the house, yard, or similar. Just throw in more and more obstacles and complications. By doing that you will spot a lot of flaws in your planning, and that is exactly the point of practicing. Everything is different when you throw in speed and adrenaline, and you can practice that too. Maybe you will realize that all your planning was good, but everything failed simply because your flashlight was not right at the reach of your hand when you woke up, or you do not know where your glasses are, or you cannot find your shoes in pitch dark because a small dose of adrenaline sent you the wrong way. 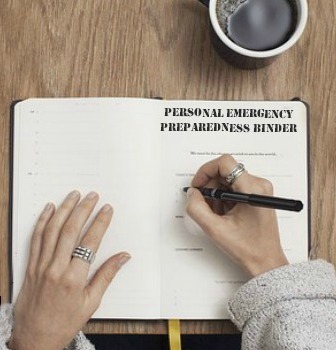 You may have a perfectly good rifle or gun, or a good bug out bag, or bug out vehicle, but everything may go to s..t because you simply failed to have clear plan with your family members of what to do (or what not to do, where to gather in house, or hide, or use signs or…) if something happened in the middle of night in pitch dark and confusion. Do not forget, an SHTF event by its core definition is something unexpected. So you need to practice operating in that condition, in confusion, panic, mayhem. You need to condition yourself to it.